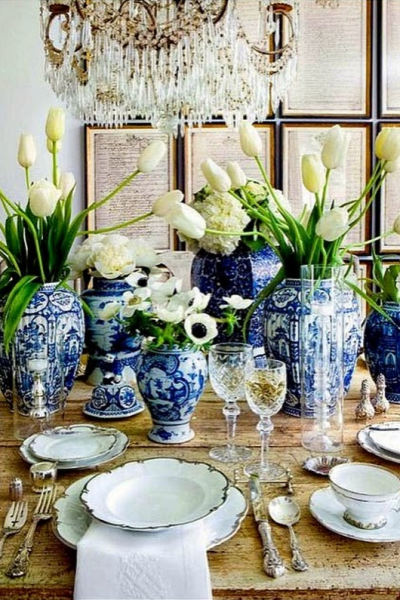 Famous Interior Designer Alexandra Stoddard's Beautiful Life in 2014. 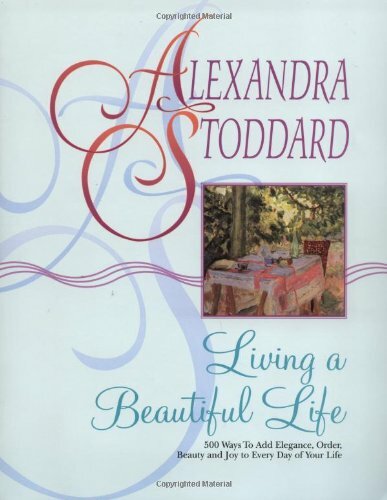 Life for Alexandra Stoddard today is very different from the days when she ran an international interior design firm from a corner office suite on Park Avenue, traveled around the world and wrote an average of two books a year. 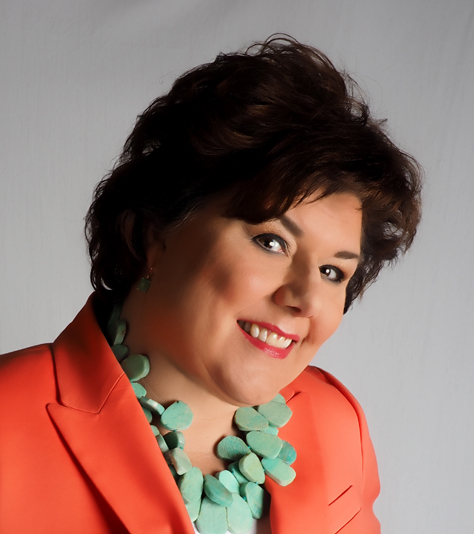 The famous interior designer, best-selling author and contemporary lifestyle philosopher is in a season of life now that is somehow purer, sweeter and more sublime. 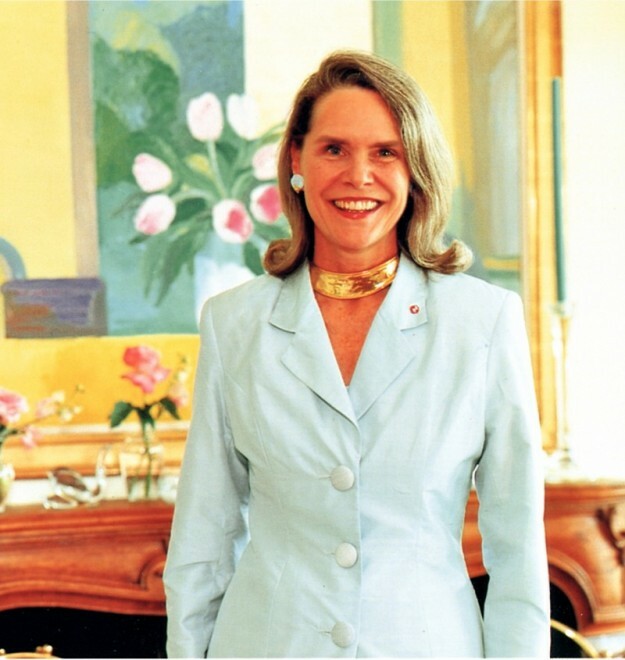 “I live very simply today in our 18th Century cottage in the village of Stonington, Connecticut, caring for my husband, who is 92,” said Alexandra in an exclusive interview with Hadley Court. She and her husband of 40 years, Peter Brown, first renovated their 1775 clapboard cottage, shown above, as a weekend retreat. Six years ago, they moved here permanently after selling their New York apartment. Despite one of the most challenging responsibilities of her lifetime as a full-time caregiver, one thing has not changed for Alexandra Stoddard. 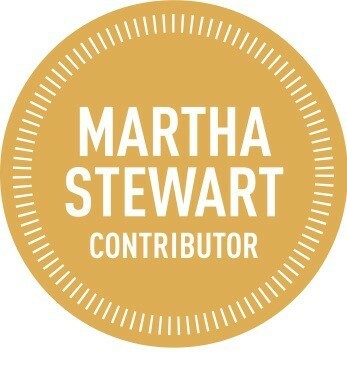 The author of the groundbreaking “Living a Beautiful Life–500 ways to Add Elegance, Order, Beauty & Joy to Every Day of Your Life,” is still living a beautiful life and inspiring others in the art of gracious living. “Beauty is transforming,” Alexandra Stoddard said. 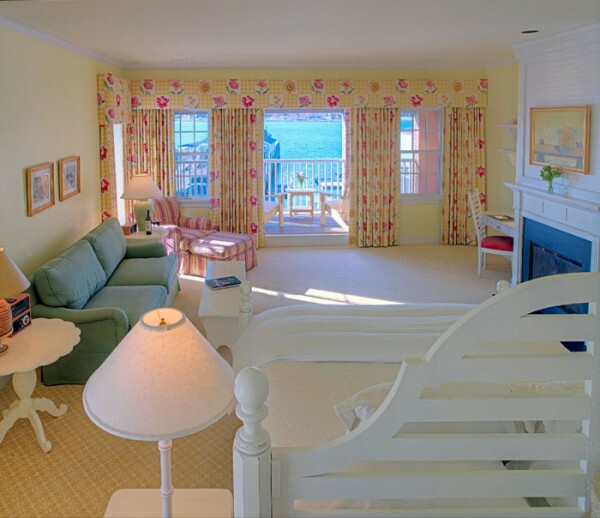 She cherishes every room of their cheerful, colorful, sunlit cottage and its tranquil setting by the sea. 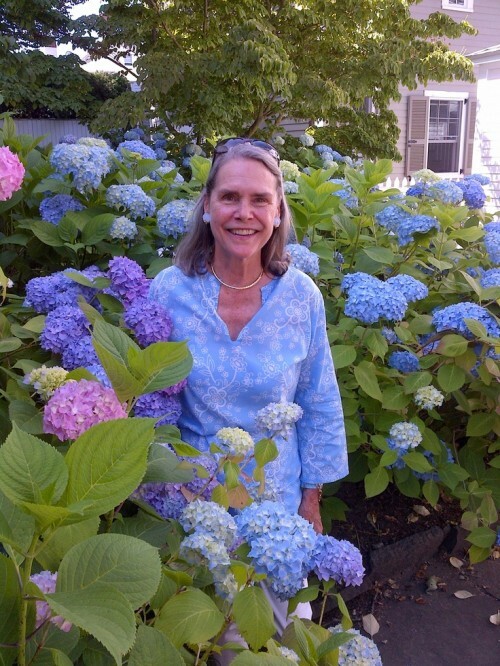 “I’m surrounded by beauty– roses, a picket fence and a forest of blue hydrangeas,” she said. With the many health challenges that she and Peter have faced together in recent years and days, loveliness and beauty are not always so readily apparent. 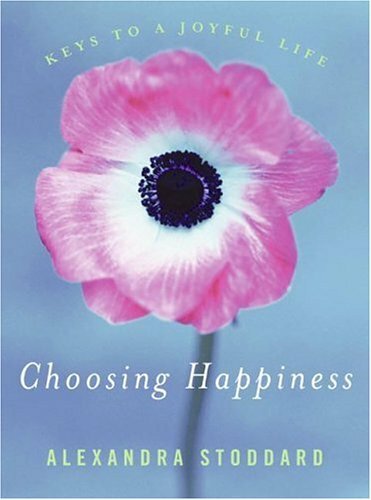 Yet, in living proof of another of her best sellers, “Choosing Happiness,” Alexandra maintains that gracious living is a choice. 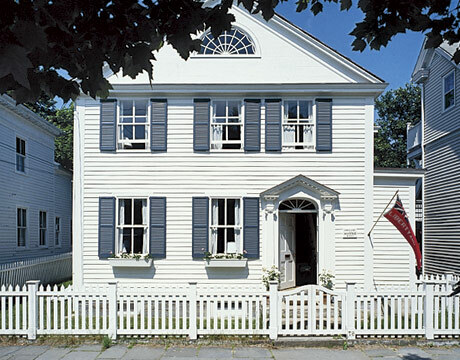 Alexandra’s vocation as a writer and philosopher fits well with the pace of life with Peter in the Connecticut cottage. When Peter was recovering from a set back a few years ago, she moved her writing table into their beautiful sunny yellow bedroom, where she wrote, “Gracious Living in a New World” while keeping vigilence over him. Her favorite time to write was in the early mornings, when she would rise at 5 a.m., slip quietly into their bedroom, light a candle and write while watching the sunrise through the windows. Alexandra writes every manuscript by hand with a fountain pen, and does not own or use a computer or smart phone. As resolute as she is gracious, Alexandra has intentionally chosen to reject the “frantic pace of life” of being tethered to a computer or phone, even though many people try to convice her to use them for efficiency and speed. While our culture teaches that we can’t be productive without computers, Alexandra continues to have enormous impact throughout the world as she shares her passion for the art of beautiful living and choosing happiness. 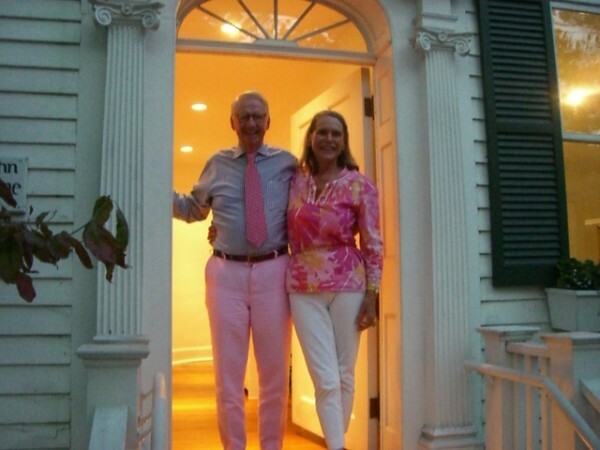 For years, she and Peter have hosted “Happiness Weekends” in Stonington, with people coming from all over–as far as Canada and Portland–for a seminar, banquet and fellowship time in the cottage to discuss and pursue happiness as a way of life. The Happiness Weekends are held just down the street at the Inn of Stonington, a romantic, picturesque and beautifully appointed waterfront inn. During the weekends, “total strangers become a community,” Alexandra said. 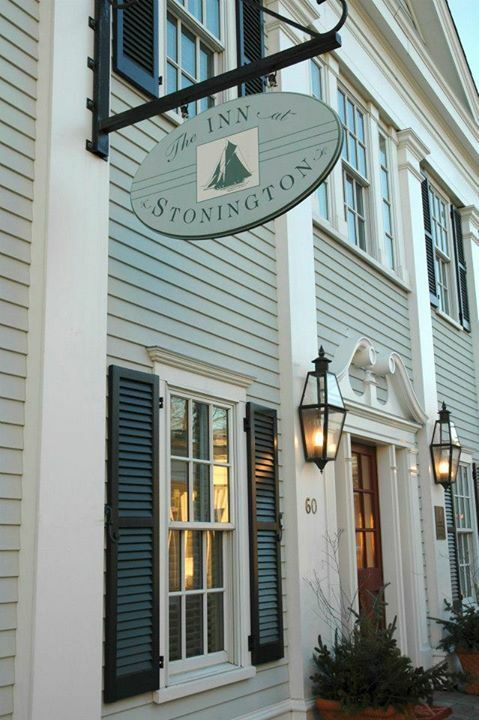 “Bonds are forged that last a lifetime.” Over the years, Alexandra and Peter and their family have come to view the Inn at Stonington as a second home. Alexandra’s daughter, Brooke, and her husband stayed in the bridal suite on their wedding night. With its bright colors and panoramic view of Stonington Harbor, Room 19 in the inn has always been Alexandra’s favorite. 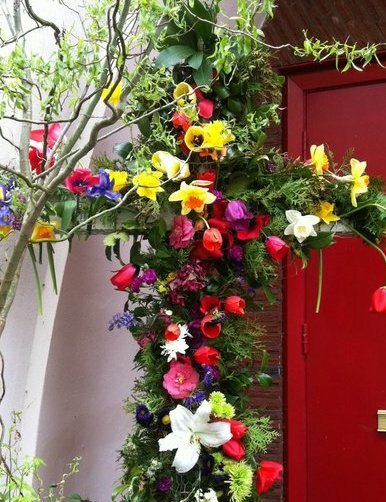 “The room is decorated exactly as I would have done,” she said. And just last year, without a computer or smart phone, Alexandra Stoddard managed to publish her 28th book, “The Shared Wisdom of Mothers and Daughters: The Timelessness of Simple Truths.” The book was a collaboration with her daughters, both in their forties. Daughter Alexandra is an award-winning political journalist for CNN, MSNBC and NBC, and daughter Brooke is a former style editor and a design consultant to furnishings companies. They regularly bring their families, including Nicholas, Anna, Lily and Cooper, ranging in age from 12 to 5, to visit at the cottage. 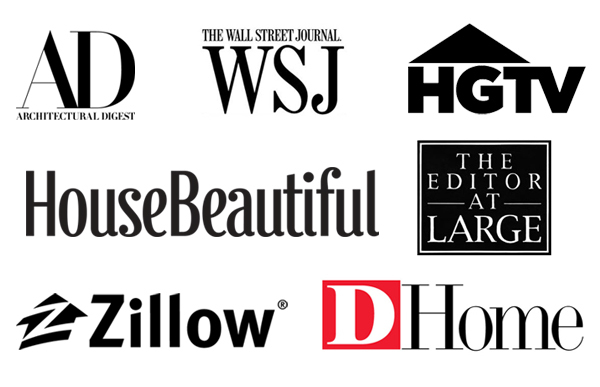 Like everyone else, they love to spend time in the enriching, inviting and love-filled home. “I want my home to be a sanctuary, a light to other people,” Alexandra said. 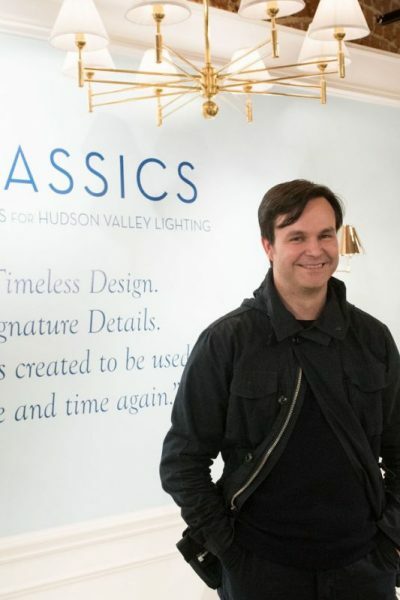 While today’s blog with Alexandra has focused on her philosophies of gracious living, we invite you to join us again on the Hadley Court blog this Thursday, when Alexandra will share her vision for interior design.